On the first day of our academic year, we started with a visit from Father Norayr Patanian. 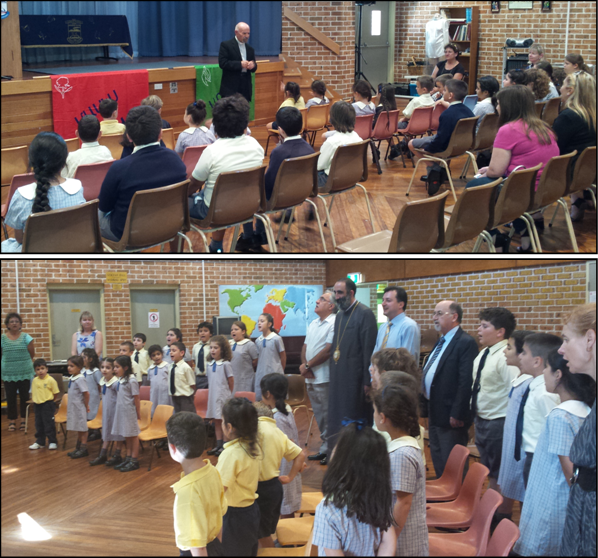 During the morning visit, he welcomed all the children who had assembled in the school hall and led a special prayer with a blessing for the start of the new school year. Following his address, the students recited the Lord’s Prayer and after receiving his personal blessings moved to their classrooms. On Monday, we were visited by His Grace Bishop Vardan Navasardyan from Armenia, accompanied by Diocese and Church Council representatives. Bishop Navasardyan is currently visiting the Australian Armenian community in an official capacity, representing the Mother See of Holy Etchmiadzin at the Gala Banquet that will be held this evening to honour the Primate of the Diocese, His Grace Bishop Haigazoun Najarian’s 40th anniversary into the holy priesthood. We join with the rest of the community in congratulating the Primate. Bishop Navasardyan had a close association with our school as the former parish priest of the Church of Holy Resurrection (2005-2008). He was very happy to be back and be updated with the life of the school, including the advancements that have taken place over the last few years in terms of capital works and classroom innovations. 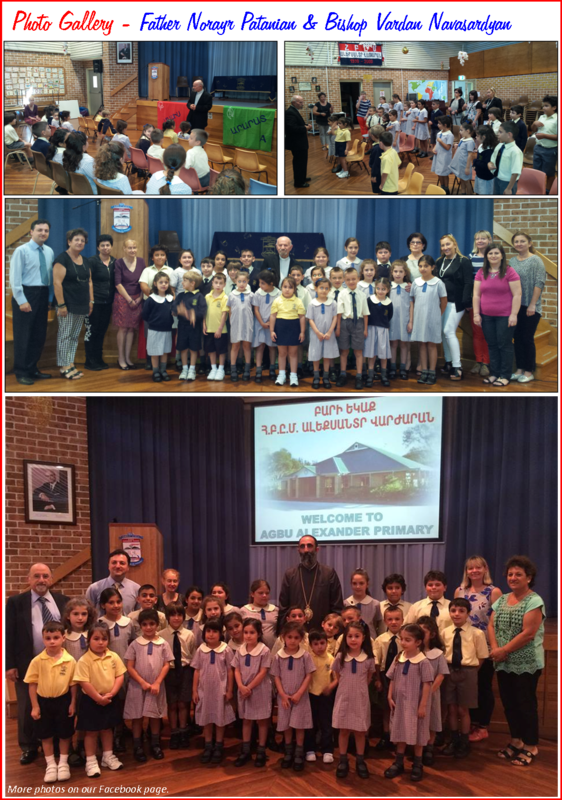 Last year, it was through his efforts that our school was able to establish a ‘sister school’ relationship with a school in Armenia. As the current spiritual leader of the Eurnekian School, our ‘sister school’ in Etchmiadzin, we were able to use the opportunity to discuss how the relationship between the two schools can be enhanced for the future benefit of students and staff.